The demo version of MantiumFlow has been updated to work with the newest OpenFOAM versions. For Windows users, it will be of interest that blueCFD 2017-2 is now also supported. The combination of MantiumFlow and blueCFD makes it very easy to run CFD simulations on this platform. 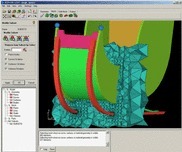 QuickerSim will host Tailoring CFD Software to Your Needs on August 23, 10:00 am CEST. CFD for non CFD people? Find out how it is possible by joining our free webinar.